It's an exercise in sustainability. A new shopping mall opened in Kapaa, Hawaii, this week, but it’s not the mammoth, multi-floor labyrinth that many people have come to expect from malls. Instead, NoKa Fair is an exercise in restraint and sustainability. The mall features little new construction — it’s composed of 19 reused shipping containers that house different vendors. Each container is painted a pastel cover and outfitted with French doors. An awning spans the shopping center and people walk can along a boardwalk. That’s it — simple and eco-friendly. Sustainability was the inspiration behind the project, according to a press release. "The feedback we've been getting from people goes to show Kauai needed a progressive project in this area of the island,” co-owner Jimmy Jasper of Jasper Properties said in a press release. “We're showing the island that innovative community and commercial spaces do not need to require new construction. We're thinking outside of the box on design here and creating a space that people can't wait to be." NoKa Fair breaks from the prevailing global model of environmentally destructive construction. Every stage of a traditional construction project — from clearing land, digging foundations, extracting resources, shipping resources, burning fossil fuels, and more — generally takes a toll on the environment. For example, sand, often used to make concrete, is the second-most exploited resource after water, and the world is running out of it. Facing a shortage of sand, many countries — from the US to the United Arab Emirates — are dredging ocean bottoms for sand, destroying aquatic ecosystems in the process. 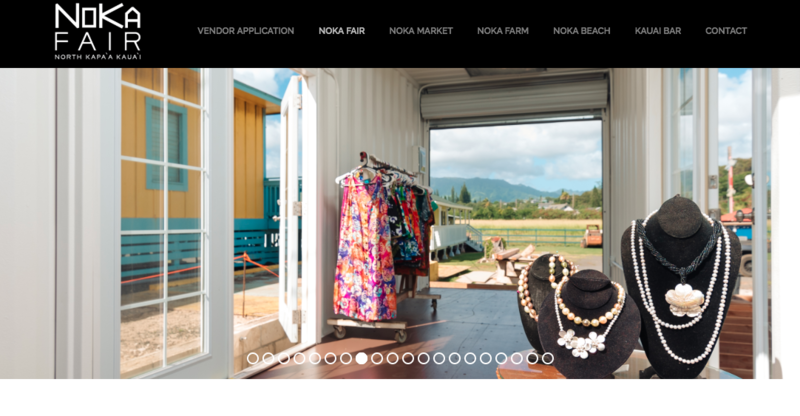 NoKa Fair shows that shopping centers don’t have to plunder the Earth’s limited resources to attract customers. Other companies are rethinking their business models to protect the planet as well. Supermarkets across the UK are banning plastic bags, major corporations like Adidas are revamping their supply chains to eliminate harmful materials, and other companies like Burger King want to end deforestation. These companies are being further spurred to action by regulators around the world who are reckoning with major environmental issues like climate change. The small shopping center in Hawaii isn’t making any significant difference when it comes to greenhouse gas emissions or acidifying oceans, but in its own humble way, it’s showing that sustainability is a good business model.